"Lyrically compelling tales that are nearly impossible to stop reading...fans of weird writers like Carmen Maria Machado, Jeff VanderMeer, and China Mieville will be glad to find this volume and thereby discover a writer who inspired them all." 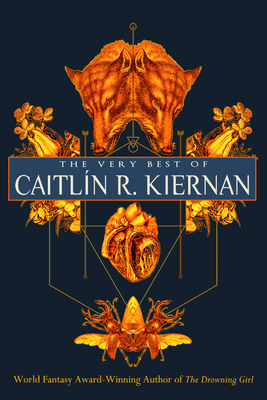 Caitl n R. Kiernan is one of dark fantasy and horror's most acclaimed and influential short fiction writers. Her powerful, unexpected stories shatter morality, gender, and sexuality: a reporter is goaded by her toxic girlfriend into visiting sadistic art exhibits; a countess in a decaying movie theater is sated by her servants; a collector offers his greatest achievement to ensnare a musician who grieves for her missing sister. In this retrospective collection of her finest work--previously only available in limited editions--Kiernan cuts straight to the heart of the emotional truths we cannot ignore.